The City of Fort Worth will hold two full-scale, emergency training exercises on Dec. 2 from 10 a.m.-noon and 3-5 p.m. in and around the Fort Worth Convention Center, 1201 Houston St. Road closures will be in effect Sunday near the Fort Worth Convention Center. The exercise will focus on emergency response to an active threat incident downtown and is being coordinated by the city’s Emergency Management Office in collaboration with local and state emergency responders. The exercise will focus on evaluating response capabilities to an active threat situation resulting in a mass casualty incident in Fort Worth. There will be significant law enforcement, fire and emergency services present before and during the exercises. Exercise responders will be shooting blanks, not live ammunition, during the exercise, which may be heard by those in the area. 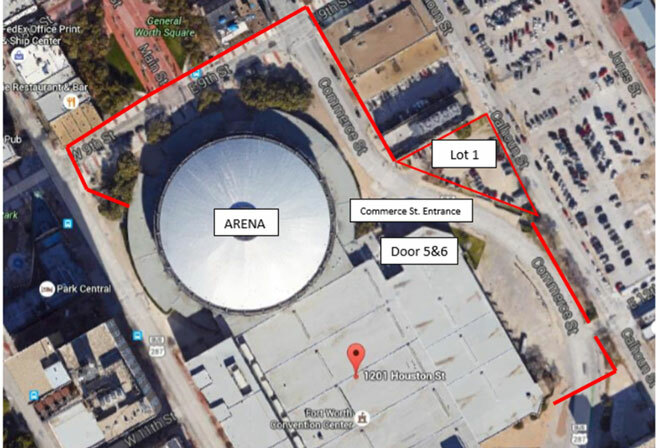 Activities will primarily be confined to the east side of the Convention Center, Lot 1 directly across from the east entrance of the Convention Center and the area just outside of the north and east entrances. Road closures will be in effect during exercise times. In order to avoid any confusion, the public is being notified ahead of time. Hotels, churches and businesses near the Convention Center have been advised ahead of the exercise, and digital signs will be present in the exercise area. The exercise is closed to the public and there is no viewing area. Fort Worth residents can learn how to respond during an active threat incident at a training event early next year. The Civilian Response to Active Shooter Events (CRASE) course is designed and built on the Avoid, Deny, Defend strategy developed by the Advanced Law Enforcement Rapid Response Training (ALERRT) in 2004. The program has delivered active threat response training to thousands of law enforcement professionals across the nation. There is no charge to attend the training session. Date and location will be announced soon. View the active threat civilian response training online here.